mental game | One Game, One Love. I’ve been a pitcher since I was eight years old; I played through high school at the varsity level, through travel ball all the way to the 18U Gold level, and four years in college. Needless to say, I’ve struggled on the mound more than a few times. I’ve been approached by coaches in all different manners in an attempt to get me back “in the zone”. Looking back, I have a personal opinion as to what worked for me. However, now I am graduate student of Sport Psychology have a few other perspectives to add to my repertoire. I think that humor can work, especially in younger athletes. It allows them to breathe for a second without even realizing they are allowing their bodies to relax. With that said, I think you have to know your athletes first. For me, it definitely worked on occasion, but humor was also a prominent part of my disposition. Some players take this game so seriously that humor can come off as an insult. Instead of allowing them to take a load off, you can make them even more tense and anxiety ridden. I was lucky enough to have the same travel coach for ten years of my playing experience. He knew me well as an athlete, and as a person. When I began to struggle on the mound his words from the dugout were always encouraging. This is the first piece of the puzzle that helped me “keep it together” when the wheels started to fall off. It helped to calm my thoughts of, “is he going to pull me?”. If things didn’t improve from there he would come out to the mound. When he arrived he would simplify the situation for me. He wouldn’t mention the runners on base, or the two bombs I had just given up, or the tight score. He would tighten my focus into the things I could control like; trust your mechanics, keep the ball off the plate with two strikes, and keep your change up low in the zone. He would sometimes go the supportive route as well, saying things like, “I put you out here for a reason, and I’m leaving you in for a reason. I believe that you can handle this team and walk away successful. This is your battle and I’m going to let you fight it. Show me what you got.” Depending on the situation humor was used also, which worked at the right time and the right place. 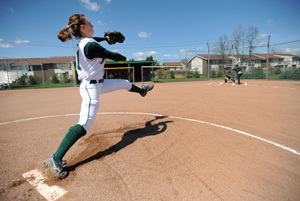 As a sport psychology student I look at my experiences as a pitcher through a new lens. I realized that the biggest reason I began to struggle was focus, self-confidence, and anxiety. Quality thoughts lead to quality actions; my thoughts weren’t always directed where they should have been. Tense muscles perform differently than loose muscles; when athletes experience anxiety, the physiology of their muscles change. They no longer perform the way they were trained under relaxed conditions. A sudden lack in self-confidence can be a producer of anxiety. With this knowledge, I know that there are three things a coach should do when approaching the mound. Coach the pitcher to relax, use deep breathing techniques. It is physiologically impossible for a body to effectively deep breathe and panic at the same time. Deep breathing will help to combat the effects of anxiety. 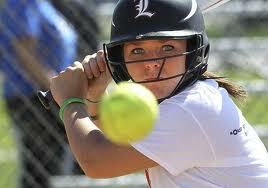 To handle focus, give your pitcher cues to think about that she is in control of, like her mechanics. She can’t control weather the umpire calls a ball a strike or not, she can’t control whether the batter swings or not, and she can’t control the performance of her teammates when a ball is put into play. What she can control is the thoughts in her mind, and the actions of her body. Give her a few things to think about to keep her mind concentrated on the correct area. Self-Confidence is a larger issue than any coach can fully combat with a single trip to the mound. 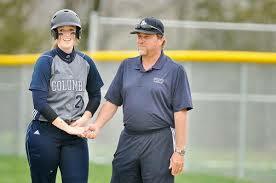 However, knowing that your pitcher has your support is immensely helpful. Posted in My Experiences, Uncategorized and tagged fastpitch, mental game, pitchers circle, pitching, pitching coach, softball, sport psyhcology, wise words. Bookmark the permalink. 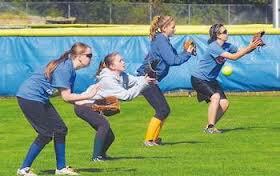 Over the weekend I found myself at a 12U traveling softball team practice. I had offered to help coach throughout the season every once in a while, and this particular Sunday I was called upon. Practice began as the girls went through their warm up routine. A little laughter here, a few giggles there, and suddenly balls were being missed left and right. No one could make a proper throw and the drills were quickly becoming unproductive. The head coach had finally had enough, and instructed the girls to jog a lap around the perimeter of the field because they needed to refocus. This method of refocusing is common, and I can’t claim that I haven’t used it myself. I’ve seen countless coaches use it in hopes their athletes will come back with a better mindset. My question is, what part of jogging a lap teaches the players to refocus their mind? I can agree that it gives them a physical break from the prior drill, and maybe gives them a moment to take their mind off the skill, but how does this method transfer over to a game situation? During games athletes can’t call timeout and jog a lap around the field in order to regain focus. My point is, as coaches, we need to teach our athletes how to refocus. Instead of sending them on a jog when the wheels start to fall off at practice. Why not gather them together and take a few cleansing breathes. Then discuss the physical and mental cues that are needed to perform the drill correctly. This teaches your athletes the actual steps they need to take in order to regain focus. It is also a method they can take into a game situation. They can take a breathe between pitches and think about what they need to do in order to be successful on the next pitch. It’s natural in our society to give or receive a consequence when an undesired outcome is reached. However, as coaches, we need to look at ourselves as teachers. Most consequences don’t teach athletes how to avoid similar situations in the future. When things start to go awry, pinpoint what is causing it. Then take the time to teach your athletes how they can counter that cause. Alter your perspective and strive to teach your players solutions rather then resorting to handing out a simple punishment. Posted in Character Building, My Experiences, Uncategorized and tagged 12U, coaching, consequence, focus, ing, mental game, nsequence, practice, rm, running, social norm, sports psychology. Bookmark the permalink. When I first entered the coaching world six years back, I was welcomed with a rude awakening. I was struggling to answer my athletes questions pertaining to why we did things the way we did. For instance, “Why do we go head first into second base on a steal with no runners on, opposed to going in feet first?”. After playing softball at an elite level since the age of 8, it was a shock, and honestly a little disheartening to realize I didn’t know the answer. Throughout my youth career as a softball player I was lucky enough to always play for coaches who had an immense knowledge base of the game. I was coached at the elite level, with the correct techniques, and strategies, from the get go. I had coaches who knew to call pitches off the plate on a batter with two strikes. 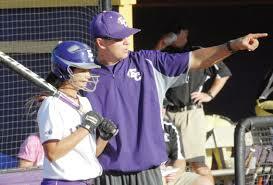 I had coaches who knew to push batters back in the box when we were trying to steal second. I had coaches who knew to have their player tag-up at second on fly ball to right field.They always knew the correct pitches to call, defensive positioning to set up, and offensive strategies to employ. I was extremely fortunate to develop my skills under coaches who truly knew the game. I was an athlete who learned how to execute with precision. Being taught correctly from the very beginning allowed the skills and strategies of the game to become ingrained in me, like they were second nature. I never had to conciously think about what was going on around me; my skills and play executions were more like reactions. Unfortunately, this caused me to miss out on a crucial skill, reading the game in front of me. I developed my talent under coaches who were so knowledgeable, that I didn’t get to learn the cognitive side of the game. My coaches were always calling the plays, and giving direction, so I missed the vital skill of reading the game and making decisions on my own. Coaching has taught me to take my reactions and turn them into words. It has taught me to analyze my ingrained skills and convert them into a tangible lesson for my athletes. The biggest challenge for me has been coaching first base; I know to run when the catcher bobbles a ball, but saying “run” and physically taking off, are two completely different things. It took me a while to hone in on the skill of delivering oral directions on the bases. It was no easy feat, and six years later I’m still learning, analyzing, and converting, but I’m making progress, and that’s what counts! Coaches, give your athletes the chance to develop the cognitive aspect of this game. It is critical to include the “why” when teaching skills, and developing game strategies. 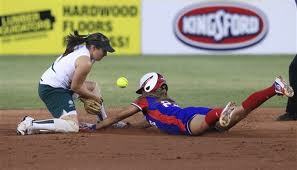 Explain to athletes that pushing batters back in the box makes the throw to second base longer for the catcher. Explain that the throw from right field to third is longer than any other position on the field, which is why we tag up at second base on a fly ball hit to right field. These may seem like minute points to those who have been around the game for some time. However, these little bits of information can make all the difference to your athletes. It can aid in that “click” that we all strive to witness as coaches.Give them the opportunity to employ and execute game situations on their own. 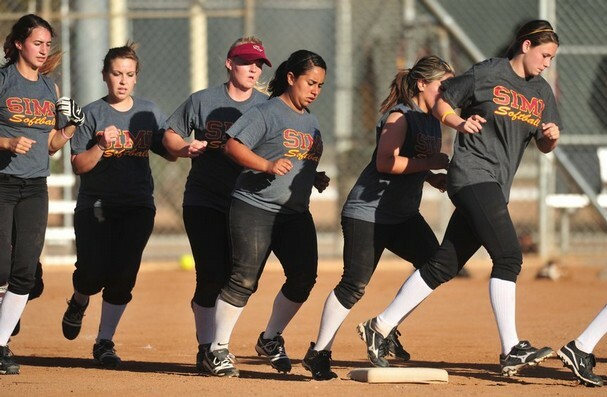 Allow them to coach their own teams at practice so they can recognize when it’s smart to bunt, steal, and execute hit and runs. Let the catchers begin to call pitches, let the pitchers begin to call pitches. Remember that trial and error is a fantastic tool to utilize when developing the cognitive aspect of the game. Explaining the mental side of the game, and then allowing them to practice on their own will greatly impact your players ability, and will develop them into well rounded athletes. Posted in Uncategorized and tagged coaching, cognitive side, immense knowledge, learning, mental game, oaching, offensive strategies, softball, softball player, teaching, two strikes, why. Bookmark the permalink.